This luxurious face mask is an anti-age beauty treatment that immediately invigorates the look of skin after the first application. In a human patch test with 50 volunteers, Royal Elixir Face Mask was shown to be non-irritating to the skin. 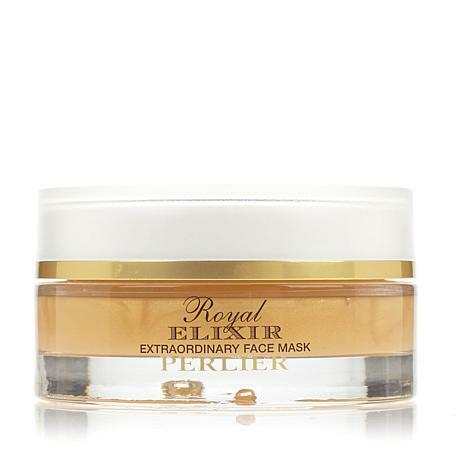 In an in-vitro clinical study, Royal Elixir Face Mask tested at higher concentrations was shown to provide an optimized environment for the natural production of collagen. Apply to clean skin using the included spatula. Leave the mask on for 10 to 15 minutes or longer if you wish, then gently rinse off with lukewarm water. A true intensive treatment, it should be used once or twice a week. Formulation contains 1000 mg of honey bee-derived product: royal jelly, propolis, Italian organic honey and quaternized honey. 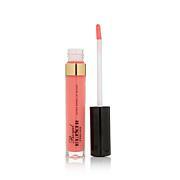 It is enriched with waxplant extract and hoya lacunosa flower extract. Ingredients: AQUA (WATER), GLYCERIN, DIMETHICONE, HYDROXYETHYL ACRYLATE/SODIUM ACRYLOYL DIMETHYL TAURATE COPOLYMER, BETAINE, DIMETHICONE/VINYL DIMETHICONE CROSSPOLYMER, MEL (HONEY), PULLULAN, HYDROXYPROPYLTRIMONIUM HONEY, ROYAL JELLY, CAPRYLIC / CAPRIC TRIGLYCERIDE, HOYA LACUNOSA FLOWER EXTRACT, HELIANTHUS ANNUUS SEED OIL (HELIANTHUS ANNUUS (SUNFLOWER) SEED OIL), PROPOLIS EXTRACT, SODIUM HYALURONATE, CYCLOPENTASILOXANE, BIOSACCHARIDE GUM-4, ACACIA SENEGAL GUM, XANTHAN GUM, DIMETHICONOL, LACTOBACILLUS] FERMENT, PROPYLENE GLYCOL ALGINATE, POLYSORBATE 20, CARBOMER, BUTYLENE GLYCOL, SILICA, ETHYLHEXYLGLYCERIN, PHENOXYETHANOL, MICA, GERANIOL, CI 77891 (TITANIUM DIOXIDE), CI 77491 (IRON OXIDE). I almost wanted to leave it on for the entire night but I followed the instruction. I woke up the next morning my face, neck and hands so super smooth. I could not help to ask my husband to give it a try. He likes it too. A good skin care line has no gender. Very happy with the price and results. This mask feels great on. I used it as an overnight mask and rinsed off the next morning. My skin felt so soft and moisturized and looked great. Very pleased and even though the jar looks really small. A little goes a long way.